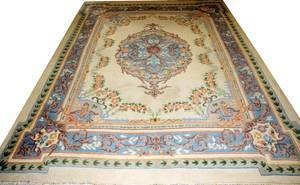 Floral decoration on blue ground. 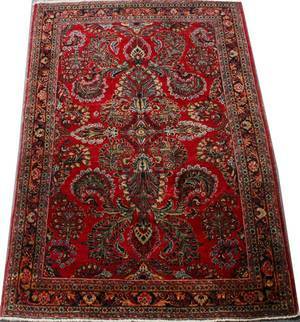 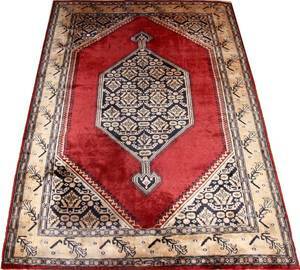 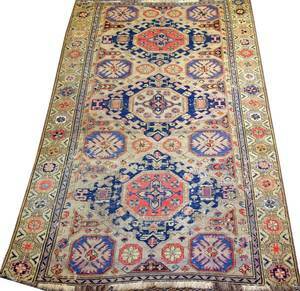 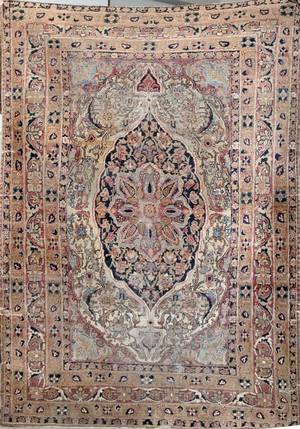 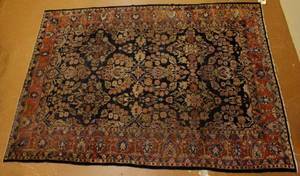 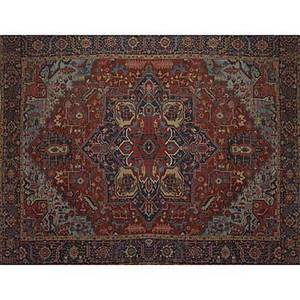 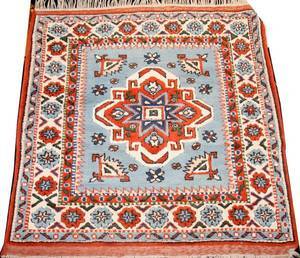 The rug measures approximately 149 inches x 107 inches. 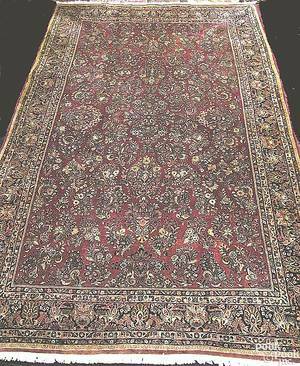 Heriz oriental rug; large center medallion on red ground with wide banded floral border, early 20th c.; 214" x 154"
031076: TABRIZ ORIENTAL RUG, C. 1900, 6' 2" X 4' 0"